A-HOTEL.com - Luxury and cheap accommodation in Maslyanino, Russia. Prices and hotel, apartment booking in Maslyanino and surrounding. Situated in Iskitim, Aparthotel Podkova provides accommodation with free WiFi. Each of the units features a flat-screen TV, a fully equipped kitchen with a microwave, and a private bathroom with a shower and a a hair dryer. Set in Kashkaragaikha, Stolitsa Mira offers accommodation with free WiFi and TV, as well as ski-to-door access. A continental breakfast is served daily at the property. Set in Berdsk, within 15 km of Akademgorodok, 55 Энтузиастов offers accommodation with air conditioning. The accommodation has free WiFi. Situated in Berdsk, 13 km from Akademgorodok, Mini-Hotel Okhotnik offers air-conditioned accommodation and a garden. Boasting a 24-hour front desk, this property also provides guests with a restaurant. Apartment on Lenina st.56 is situated in Berdsk. Апартаменты на Кристальной 9/1 offers accommodation in Berdsk, 16 km from Akademgorodok. 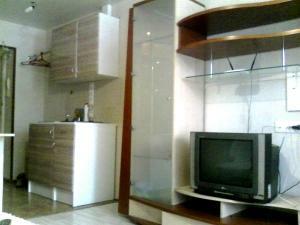 This apartment features accommodation with free WiFi. Set in Berdsk, just 12 km from Akademgorodok, Apartment on Karla Marksa 36 features accommodation with free WiFi. The apartment has 1 bedroom and 1 bathroom with a hair dryer. Dom u Vodopada features rooms in Karpysak. Free WiFi is available. Located 11 km from Akademgorodok in Berdsk, апартаменты ЛЮКС класса offers accommodation with a kitchen. Guests staying at this apartment have access to free WiFi. Апартаменты "Всё рядом" на К. Маркса 22 in Berdsk offers accommodation with free WiFi, 11 km from Akademgorodok. Situated in Berdsk, just 11 km from Akademgorodok, Апартамент в центре Бердска features accommodation with free WiFi. Guests staying at this apartment have access to a fully equipped kitchen and a balcony. Located in Berdsk in the Novosibirsk region, Apartment on Komsomolskaya st.14 has a balcony and river views. Situated 11 km from Akademgorodok and featuring free WiFi, Apartamenty na Komsomolskoi offers accommodation in Berdsk. Tolmachevo Airport is 52 km away. Set in Berdsk, 11 km from Akademgorodok, Kvartira Severny 18 provides a living room with a flat-screen TV. The accommodation features free WiFi. Апартамент на Красной Сибири is set in Berdsk and offers a bar. Guests may enjoy the free WiFi. Set in Berdsk, just 15 km from Akademgorodok, Апартаменты у Зима - Лето features accommodation with free WiFi. Guests staying at this apartment have access to a fully equipped kitchen. Апартаменты на Лунной возле "Зима-Лето"
Featuring accommodation with a balcony, Апартаменты на Лунной возле "Зима-Лето" is set in Berdsk. Guests staying at this apartment have access to a fully equipped kitchenette. Featuring a garden and free WiFi, Hotel Royal Marine is situated in Berdsk, 11 km from Akademgorodok. Boasting a 24-hour front desk, this property also welcomes guests with a restaurant and a children's playground.